I wrecked my bike today. Nothing serious but it could have been. I am in training for the 120 for Orphans, a 120 mile bike ride to benefit the orphans of International Orphan Support. I have been putting in quite a few miles the last few weeks. Today, while buzzing along on a trail, I came around a corner at about 13 mph. Another rider was coming the other way, headed straight for me. To prevent a head-on, I hit the brakes hard and went over the handlebars. I messed up my bike a little – the brakes and gears are whining. I didn’t hurt myself much, a few scrapes and bruises. But I was wearing a helmet. I NEVER wear a helmet. The only one I own is real goofy – a cheap old Specialized that I got on ebay years ago. 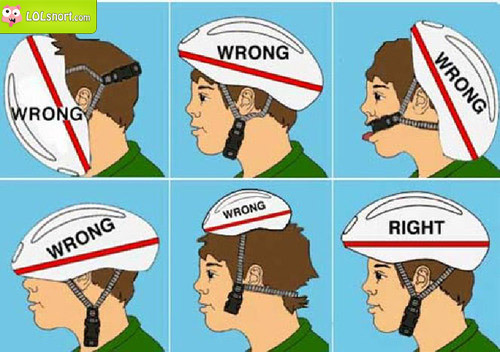 I was leaving this morning and told my wife, “I’m wearing my helmet today – I’m going to be on the road a lot.” I am not saying that the helmet saved my life but I landed on my head and shoulder and managed to do a tuck and roll. I did hit my head and it hurt, so I think I prevented a concussion by wearing a helmet. So given the choice between looking stupid while keeping my brains, as compared to looking cool and having amnesia, I’ll choose the former. Thanks, Carlos. I appreciate your offer to fix the bike. I’ll let you know but I think I can manage. Blessings. My ride was not as eventful! Glad your ok, bummed about the bike.